Service dogs are not an uncommon sight. Specially trained to assist with everyday activities such as retrieving items, responding to emergency medical episodes, and ringing doorbells, service dogs can help people with disabilities find their independence. As a business owner it is your duty to accommodate a certified service dog and its handler. The Act includes certification and identification standards which make it easy for business owners to identify service dog teams. 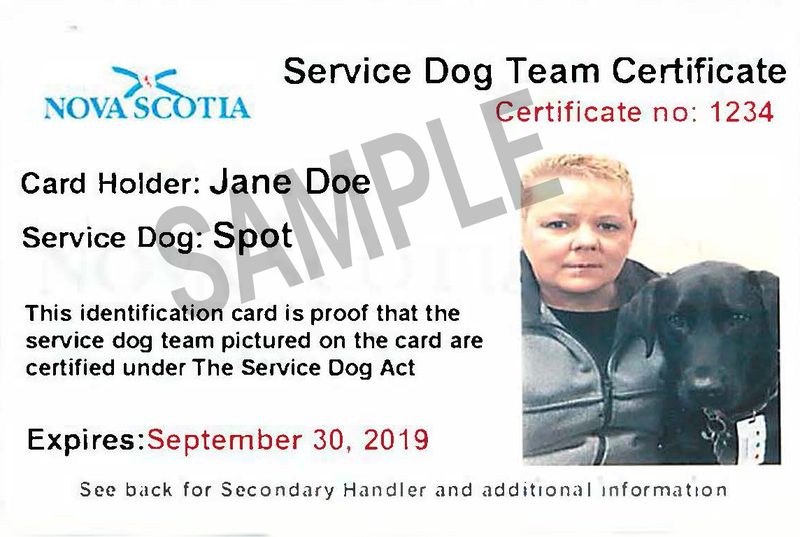 Certified teams are issued provincial identification cards which provide a consistent and simple way to verify that a dog is certified and meets a high standard of behaviour. Handlers must first apply for certification before being issued a card. The Service Dog Act applies to working service dog teams, retired service dog teams and dog-in training teams; it does not protect pets, emotional support animals or therapy animals. It is an offence to falsely represent a dog as being a member of a service dog team. If a customer claims their animal is a service dog, but is unable to provide the proper identification, you can make a complaint to the Service Dog Program by contacting the Registrar’s Office at the Department of Justice: 1-888-760-5577 (Press 6). Denying access or tenancy to a certified team is a serious offence and by doing so, you could be fined up to $3,000.00. If a service dog team does not have an identification card and is denied access to a public place, the penalty provisions of the Service Dog Act would not apply.